Crow’s feet is also commonly known as “laugh lines” or “character lines”, are usually a bunch of tiny wrinkles appear at the outer corners of your eyes. Crow’s feet develop with the age, starting in the mid to late 30s, collagen and elastin production in the body, two proteins are readily responsible for the elasticity of your skin and lessens that appear by the increasing age and it leads to the formation of crow’s feet. Other signs of aging are very prominent like sagging breasts, wrinkles and brown spots. Egg whites are helpful in making your skin tight and therefore, it is good to reduce the appearance of crow’s feet. Take one egg and beat it until you get a foamy consistency. Now apply this egg white on the outside of the eye corner along with the cheekbones. Leave for 10 minutes and then clean the area using a cotton ball already soaked in cold water. Do this remedy two times a week. Optionally, after when you have washed your face using a mild soap, apply one egg white over your face and let it dry completely. Again apply another layer and leave it for 15 minutes then wash off with warm water. Pat dry your face using a soft towel and at last, use some moisturizer. Do this remedy twice a week only. Papaya is rich in vitamin C that is good to get rid of crow’s feet and helps in fighting the free-radical damage of your skin including collagen production. It also contains an enzyme called papain which helps in removing the dead skin cells and tightens the skin also. Take a piece of raw papaya and rub it on the skin. Leave for 10 minutes until it gets dry then rinse it off with cold water. Do this remedy once on a daily basis. Another thing you can do is scraping out the pulp of a ripe papaya then mix it with some dry oatmeal. Apply this paste on your entire face and give it a gentle massage. Leave it for 10 minutes then rinse it off with cold water. Do this remedy for three times a week. Alternatively, simply mash the papaya and add one tbsp. of olive oil in order to make a smooth paste. Apply this face pack and leave for 10 minutes to get completely dry. Wash off with cold water and repeat the process every two days. 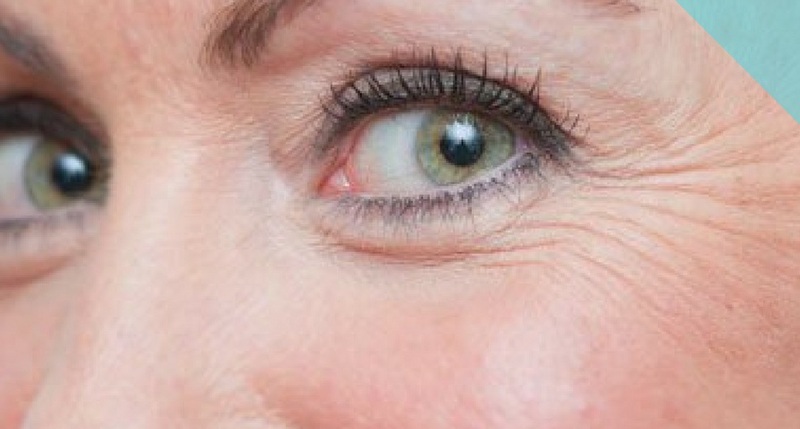 Milk is great to diminish the appearance of short wrinkles around the area of your eyes. As the milk contains glycolic so it helps in exfoliating the dead skin cells and promotes the collagen production in the skin. Make your habit of drinking milk regularly to get glowing and healthy skin. Take a clean cloth and soak it in the milk then place it on the affected skin area. Let it sit for 10 minutes then rinse it off with cold water. Repeat the process twice daily. Add a few drops of almond oil in a large bowl of cold milk. Soak two slices of bread in the milk. Now put these slices in a piece of cloth then place one over each of your eyes. Leave for 20 minutes. Use this once daily for several days. Aloe vera is the best ingredient for your skin and especially for removing the crow’s feet. It has antioxidant properties that helps fight against the radicals that are the cause of wrinkles. Aloe vera also contains essential vitamins and minerals that give your moisturized and brightened skin. Drink one tbsp. of aloe vera juice two times daily to get the benefits of its antioxidant properties. Alternatively, take a fresh aloe vera leaf, squeeze out the gel and apply generously around the corners of your eye before getting sleep. In the next morning, wash your face with cold water. Do this remedy daily for at least few weeks. You will notice that your skin is now hydrated, firmer including the less visible crow’s feet. Vitamin E is a strong antioxidant that is essential for regenerating the new skin cells and keeps your skin always moisturized. It tightens the skin around the eyes by reducing the appearance of crow’s feet and deep lines. Take two vitamin E capsules and open them to put the contents in the small bowl. Apply this liquid directly onto the wrinkles around the eye corners. Do this remedy every night before going to bed. Coconut oil is used as a natural moisturizer and it has higher amount of vitamin E which nourishes skin cells and tissues. Coconut oil has linoleic acid which delays the formation of crow’s feet, fine lines and sagging skin happens with age. Rub few drops of pure extra virgin coconut oil on the skin around your eyes every night before sleeping. Try using coconut oil for cooking and enjoy its benefits. Avocado contains strong bacterial and antioxidant properties which is rich in monounsaturated fatty acids excellent for revitalizing dry and dull skin. Avocado has vitamin D and E content which stimulate the production of collagen that help in reducing the appearance of crow’s feet. Mash the ripe avocado pulp and apply it on your crow’s feet. Leave for 20 minutes then wash it off with warm water. Do this remedy daily to keep your skin moisturized and wrinkle free. Mix the ripe avocado pulp with three tsp of sweet almond oil. Spread this mixture around your eyes and leave for 20 minutes before washing it off with warm water. Do this remedy once daily. Castor oil is a natural ingredient and has calming effects for your skin to make it super soft by reducing the appearance of crow’s feet, wrinkles and fine lines. Before getting to sleep, apply few drops of castor oil onto your crow’s feet then massage gently into the skin. Leave it overnight. Wash off in the next morning. Do this remedy daily. You can also blend one tbsp. of each castor oil and sesame oil and put it on your crow’s feet before going to bed. Do this remedy daily. Cucumber have thiamine, vitamins B5 and B6, riboflavin, niacin and these all ingredients help in nourishing the skin. It also has soothing properties which reduces the wrinkles and crow’s feet around your eyes. Grate one cucumber and apply its juice around your eyes and leave it for 10 minutes. Rinse it off with cold water. Repeat the process three times a day for several weeks. Alternatively, cut a cucumber into thick slices and rub them around your eyes gently for few minutes twice daily. Lemon juice is rich in citric acid which is a strong exfoliant and helps to get rid of crow’s feet. It is also an astringent that makes your skin smooth and fade the blemishes. Rub a fresh and squeezed lemon juice onto your crow’s feet and leave it for 10 minutes. Rinse it off with cold water. Do this remedy three times daily. Mix one tsp of lemon juice and one tbsp. of orange juice. Apply the mixture to your crow’s feet and leave it for 10 minutes. Wash it off with warm water. Do this remedy once daily.